We’re the first to admit that we kick-start most days with a cup of coffee. After all, lack of sleep is a killer, and coffee is definitely our saving grace. Bonus? Turns out it’s a miracle worker in the beauty department, too: It reduces swelling, provides antioxidants, boosts circulation, diminishes fine lines and acne, and brightens your overall complexion. A caffeine boost and clearer, more radiant skin? Coffee is truly the gift that keeps on giving. 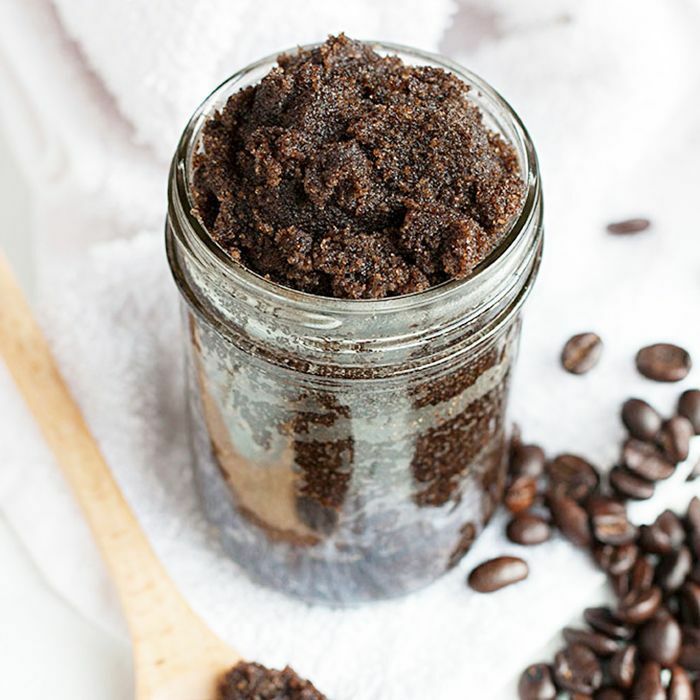 To find out how to concoct our own at-home coffee mask, we enlisted local L.A. skincare guru and founder of SkinOwl, Annie Tevelin, for a simple skin-boosting recipe. Keep reading to create your own! Get a teaspoon of leftover coffee grinds from your daily cup of joe and add it to a small mixing bowl. Using an eyedropper, add two full vials of your favorite facial oil to the coffee grounds and mix gently. Tevelin suggests the SkinOwl Geranium Oil ($30), which she says is perfect for decongesting, brightening, and reducing the appearance of dark spots. Wash your face as you normally would and lightly dry your skin with a towel. Make sure your skin is still slightly damp. Apply the scrub directly to your face, avoiding the eye area. If you want a deeper exfoliation, gently massage the scrub into your skin. After 10 minutes, rinse your skin with lukewarm water and massage 10 drops of your facial oil into your skin to rehydrate. Tevelin suggests adding this mask to your skincare regimen once a week for awakened, revived, and rejuvenated skin. Bonus tip? Tevelin likes to keep any leftover coffee grinds in her refrigerator for an iced coffee mask to chill, calm, and depuff sallow skin on a hot day! To learn more, see here for more beauty benefits of coffee. Would you try this DIY mask? Let us know your thoughts in the comments below!